It's no secret that everyone wants to look and feel their best while having fun-in-the-sun. Before you head to warmer temperatures and pack clothes that reveal more skin, tackle body breakouts with AcneFree. My teen kids suffer from acne and have tried several products on the market to minimize the breakouts. Some of those products work; some don't. Logan, the 16 year old, has been using AcneFree Body Clearing Acne Spray faithfully for the last few weeks to deliver acne medication to hard-to-reach places on the body. Because Logan suffers from acne on all areas of his body, including his backside, he likes that this spray can cover those places. It's just a matter of shaking and spraying affected areas. 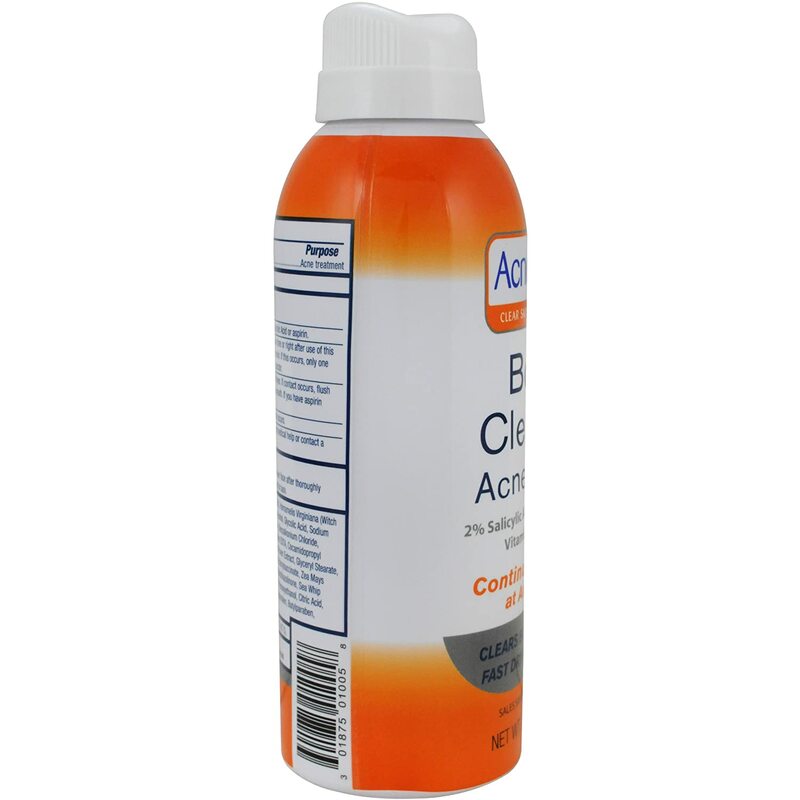 AcneFree Body Clearing Acne Spray contains salicylic acid 2%, an acne medication that's helpful because it's an exfoliant. It also contains glyolic acid, which helps to remove dead skin cells. As well, Aloe and other plant and root extracts help even skin tone. Due to its ingredients, it is recommended that users limit sun exposure because it may increase skin's sensitivity to the sun. Although Logan isn't completely free from acne, he believes that AcneFree Body Clearing Acne Spray has been beneficial in reducing breakouts and he's real fond of the spray because it covers all areas, without being oily or leaving any residue. I am glad that I do not suffer from Acne anymore, but my son suffers from it on his face and back. My daughter has acne on her back. Would love for her to try this. Problem areas on my back and neck. My teenage son and I both suffer with acne on our faces and backs. My teen gets it on her shoulders and back. I suffer the most on my shoulders. Most of my acne issues are on my face. I don't have it too bad, but it's crazy.. I turned twenty and bam, I'm dealing with these issues that i never dealt with as a teen. Three years later, I'm so frustrated. I've never heard of this product, but definitely interested in trying it. My upper back when it gets sweaty in the summer. On my face and back! On my face but I do suffer with it from time to time on my upper back and shoulders. My son suffers from it on his upper back and forehead. My problem area is my back. Would love to try!